In celebration of the 25th anniversary of the passage of the Americans with Disabilities Act (ADA) in 1990, the Office of Special Education and Rehabilitative Services (OSERS) is excited to announce accomplishments aimed at improving the lives of and expanding opportunities for people with disabilities. Today, OSERS announced a new funding opportunity, the Accessibility of Computers and Web Sites through an Automated Personalization Computing Project (APCP), to create the infrastructure we need to make it easier for any person of any age with any disability to more easily use any web enabled device at school, at home, at work, or in the community. This funding opportunity, totaling up to $20 million over five years, will implement a pilot demonstration of automated personalization for individuals with disabilities who are using information and communication technologies. Individuals with disabilities will be able to access communications and information technology on a secure basis no matter where they are (at school, work, home, or in the community), what kind of computer they work on (e.g., desktop, laptop, tablet, smartphone, kiosk) or what software platform (e.g., PC, Mac, Android, iOS) they are using, as long as it is an APCP-enabled computer with Web access. OSERS is looking forward to receiving and evaluating applications and making the award by the end of this September, 2015. In July 2014, President Obama signed the Workforce Innovation and Opportunities Act (WIOA), which seeks to improve the nation’s workforce development system and strengthens the services provided by the 2,500 American Job Centers to workers, employers and job seekers. WIOA reauthorized the 3.4 billion dollar Vocational Rehabilitation Program, which provides employment supports and training to one million individuals each year seeking high quality employment. WIOA established the Advisory Committee on Increasing Competitive Integrated Employment for Individuals with Disabilities. All three agencies responsible for implementing WIOA—the Departments of Labor, Education, and Health and Human Services—have taken strides to ensure that people with disabilities have improved access to services and employment outcomes. OSERS has featured a “Know It 2 Own It” Blog every month over the past year leading up to the 25th Anniversary of the ADA the U.S. Department of Education’s main Homeroom Blog. “Know It 2 Own It” is a campaign that featured monthly stories to encourage the general public to learn more about the disability rights movement and history that led to the passage of the ADA. In 2014, OSERS’ Rehabilitation Services Administration (RSA) awarded a five-year, $9 million grant to the Institute for Community Inclusion at the University of Massachusetts, Boston for a Job-Driven Vocational Rehabilitation Technical Assistance Center. Also in 2014, OSERS’ Office of Special Education and Rehabilitative Services (OSEP) and RSA funded a joint Technical Assistance Center, the National Technical Assistance Center on Transition (NTACT), to improve postsecondary and employment outcomes for all students with disabilities. The Office of Special Education and Rehabilitative Services (OSERS) administers PROMISE, a $211 million program. PROMISE is an interagency collaboration of the Departments of Education, Health and Human Services, Labor and the Social Security Administration, is a 5-year grant program under which state agencies have partnered to develop and implement six model demonstration projects that provide coordinated services and supports designed to improve the education and career outcomes of children with disabilities who receive supplemental security income in eleven states. Over the past several years, OSERS has implemented a revised accountability system under the IDEA known as Results-Driven Accountability, which shifts efforts from a primary emphasis on compliance to a framework that focuses on improved results for students with disabilities, including performance on assessments, graduation rates, and early childhood outcomes. OSERS supports Bookshare, the world’s largest collection of accessible titles online. The service is free to students who are blind, visually impaired, or certified as having a print disability. Bookshare has a total of 301,000 education titles with 350,000 students with its services. In addition, the Administration participated in the successful negotiation of the Marrakesh Copyright Treaty to increase access to print materials for the world’s estimated 340 million blind, visually impaired, and other persons with print disabilities. The United States played a leadership role in negotiating this treaty, which should help reduce the global shortage of print materials in accessible formats such as Braille, large print, and accessible digital files, while maintaining the integrity of the international copyright framework. Bookshare is also working to ensure image that descriptions are also shown in Bookshare titles, increasing their accessibility working through the DIAGRAM Center, a research and development center whose goal is to improve the way image and graphic content for accessible instructional materials (AIM) is produced and accessed so that students with print disabilities are provided equal access to the general education curriculum. In 2012, the OSERS awarded a five year $25 million grant to the SWIFT Center to assist states and local school districts successfully implement and sustain inclusive schoolwide reform in kindergarten through grade 8. The SWIFT Center provides intensive technical assistance to improve the practices within schools that lead to success for all students, including those with disabilities and the most intensive support needs. In 2014, OSERS, in partnership with the Office for Civil Rights and the U.S. Department of Justice issued comprehensive guidance supporting the civil rights and educational needs of students with disabilities in juvenile justice facilities. In 2013, OSERS issued guidance regarding the bullying of students with disabilities. The guidance makes clear that the bullying of a student with a disability that results in the student not receiving meaningful educational benefit constitutes a denial of a free appropriate public education (FAPE) under the IDEA that must be remedied. In 2013, OSERS issued guidance affirming the importance of Braille instruction as a literacy tool for blind and visually impaired students, clarifies the circumstances in which Braille instruction should be provided, and reiterates the scope of an evaluation required to guide decision of Individualized Education Program (IEP) teams in this area. Additionally, the guidance identifies resources that are designed to help strengthen the capacity of the state and local personnel to meet the needs of students who are blind or visually impaired. A November 12, 2014 joint guidance and accompanying FAQ by OSERS, the Office of Civil Rights, and the U.S. Department of Justice, ensuring educational agencies understand the different requirements under IDEA and the ADA and its Section 504 with respect to children with a hearing, vision, or speech disability. While IDEA requires that schools make available free appropriate public education (FAPE), consisting of special education and related services, Title II has a specific effective communication requirement for individuals with disabilities – requiring schools to ensure that students with disabilities receive communication that is as effective as communication with others through the provision of appropriate auxiliary aids and services. OSERS Office of Special Education Programs (OSEP) currently supports 28 personnel development programs that prepare professionals to provide special instruction for children with visual impairment and blind. a survey of the university programs on curricula in technology, requirements, measures of competency, and more. Video-on-Demand Children’s TV Programming Now Accessible for Thousands of Students with Visual or Hearing Disabilities. The Accessible Television Portal project opens access to free, video-on-demand children’s television programming for thousands of students who are blind, visually impaired, deaf or hard of hearing. Some projects in this area are designed to support the education of children with sensory disabilities by providing support for captioning and video description of educational materials that are appropriate for use in educational environments. Stepping up projects support efforts to scale up the use of existing, technologies and accompanying instructional strategies in educational environments. An example is: Improving Literacy and Technology Skills Using the Braille Challenge Mobile at the California State University, Los Angeles (CSULA), and the Braille Institute of America (BIA). The main goal of the project is to support the development of literacy skills of children who read braille by creating and disseminating a mobile app, the Braille Challenge Mobile App (BCMA), and incorporating evidence-based instructional strategies and supporting the development of reading and writing skills. 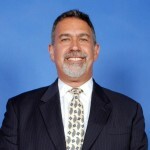 Assistant Secretary Michael K. Yudin leads the Office of Special Education and Rehabilitative Services (OSERS) at the U.S. Department of Education. As we approach the end of the school year, most high school seniors are preparing for graduation and their future. At this time, I’m reminded that each passing year, more and more students with autism and other disabilities are attending college with their peers. For many of them this will be their first time away from home, a time for excitement and a time for independence. It will also be the first time where they will be responsible to advocate for their own needs at school. The transition from high school to college can be tough, especially for students with disabilities; however, when students know their rights and where to get help, the transition can be made a little easier. Some students, such as Elijah a high school senior from Jacksonville, Florida, learn the importance of advocating for themselves and their needs for accommodations while still in high school. Here is his story and his wish for all students with disabilities. A student’s ability to advocate for himself is important to succeed at the college level. Every year, I have an opportunity to meet and work with a group of about 15 autistic college students from various backgrounds and ranging in age. Some of them are traditional college students, others are accessing college through a Transition and Postsecondary Programs for Students with Intellectual Disabilities (TPSID) program or a modified course of study. All of them say the same thing – it can be hard. Part of my job at the Autistic Self Advocacy Network is to provide incoming students with training in self-advocacy through our Autism Campus Inclusion program and give them the tools and resources they need in order to effectively advocate for themselves and get the most out of their college experience. A place to doodle, fidget, pace, or sit on the floor in order to focus and learn. In addition to getting the word out about self-advocacy, we’ve created resources such as Navigating College and Autism Campus Inclusion (ACI) to assist students with disabilities as they navigate through higher education. Autistic and other students with disabilities will often face barriers from the day they set foot on campus. In order for these students to succeed in college, we say, self-advocacy is needed. You have to know your rights, have a plan for getting the accommodations and modifications that are appropriate and needed, and be prepared to face an array of challenges. However, by creating a community on campus and bringing students together to share their experiences we remind one another that self-advocacy is easiest when we know we aren’t alone. The opinions expressed and materials contained in this blog are not an endorsement by the U.S Department of Education and herein do not necessarily reflect the position or policy of the United States Department of Education.